So, I'm still working on the setting for my new Chronicle, and I wanted to do a quick digression on how I create NPCs, particularly for Vampire. The published sources tend to go into great detail with their tragic and horrible mortal lives, and what has made them the monsters they are today. Well, that's all well and good, but doesn't terribly help me with them in the game. So, when I create my own, I tend to focus on the now of the character, what are they up to tonight, and how are they hoping to accomplish it. Then, I work out anything else I need from there, with particular attention to their feeding habits. Yeah, I've been accused of making my vamps be "blood addicts." Maybe, but I've also assumed that hunting and feeding are what vampires enjoy; it's not a burden for them. Anyway, I've ranted about this before, so I won't go into it again. For my current setting, things are a bit different from how I normally setup my NPCs. 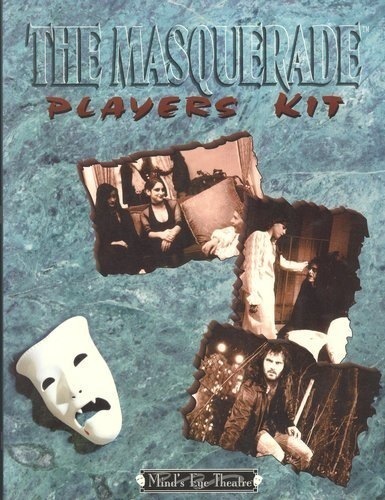 There's no such thing as a "Personal Masquerade," for one. We are still in the Long Night, and while there is a Tradition for "Silence of the Blood," it is far different from what the Masquerade will be. Secondly, pretty much everyone in this setting is Nosferatu, which means they can both vanish and appear as a dozen different people as needed. So, the Masquerade isn't a factor. But something else dominates the world--Arawn. He is a religious fanatic with a very warped view of Christianity, and a vampires role in the world. He believes their job is to tempt, harry, and punish mortals in a bid to save their souls. Those that fail are slain, often in a horrific manner, with the justification that their painful deaths might purge their souls of sin. There are two results to this. First, only Arawn can authorize the death of a mortal. More importantly, only Arawn can allow a Kindred to feed on a mortal--otherwise, they are forced to rely on animals. This is fine for a young vampire like Gauvain; unsatisfying, perhaps, but possible. This is untenable, however, for an elder vampire, such as Mabon. As one ages, animal blood becomes less and less satisfying, and so they scheme and manipulate ever more, hoping to convince their Elder to allow them to drink the vitae they so crave. Tied to that, is status. This isn't the modern nights, with multiple Primogen and Sects and Coteries feuding over territory and Elysium's and all that. This is the Long Night, and that means the Eldest, Arawn, is the center of the entire social world. If one wants status, or approval, or to shut down a rival, only Arawns approval can grant you such gifts. And so not only is the Beasts desire to feed driven to a warped interaction with mortals, but so is the Mans desire for belonging. Which means, each NPC has some warped and messed up desire to "corrupt" or "harry" man, no matter what cost this inflicts on their souls. Anyway, here's an example of a sheet I worked up for each major NPC. I've worked out the basic setting and ideas for my new Solo Vampire Chronicle. I talked more about it here, but in short it's going to be a geographically isolated locale, ruled by a manipulative and controlling religious fanatic. Now, I need to come up with who my main character is going to be for this world. I don't have a lot of ideas for the character yet. 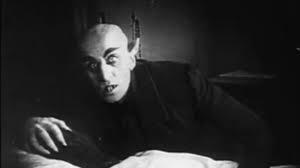 I know I want to play a Nosferatu. I know I want him to be a male, and of European/Christian descent. I also know I want him to "special" in some way, either a great warrior, or thief, or scholar or...something. He's cut from a different cloth, which is why he, unlike others of his generation, is given all the crappy assignments that make role playing such fun. I actually rather enjoy not knowing what I'm going to get, and a solid "random character generator" can be a delight, particularly when you don't have a really solid concept in mind. So, given that, I grab my copy of the Masquerade Players Kit. I've used this before, and was pretty happy with the results. Of course, this generator is designed for "modern" characters, and so I'll need to be a little creative with the results to fit the Dark Ages setting for this game. Anyway, let's see what we get! Now, obviously, not all of this fits my medieval world, but it does give me an idea for a character. First off, I need a name. I'm already shamelessly ripping off Celtic legends and lore, so let's keep going with that theme. The character's name will be Gauvain, a variation on my favorite of Arthur's knights. Ok, so, Gauvain's father, Cilydd, was a well regarded craftsmen. However, when his wife passed away and let him to care for his three sons, he began to slowly deteriorate, losing himself in drink and eventually being reduced to a nothing more than a hired field hand. Now, given the amount of alcohol medieval folks routinely imbibed...well, that's saying something. Gauvain has a complicated relationship with his brothers. The eldest, Cai, took on the role of caretaker, and basically raised the other boys and worked whatever odd jobs he could to keep food on the table. His other brothers, Bedwyr and Gahreth, were more competitors to Gauvain than companions. Still, he was a bright and diligent boy, and Cai was able to arrange for him to be taken in by nearby monks and receive an education. He thrived in the cloistered environment, but he fell in love with the beautiful Anna and left the monastery, eventually finding a certain contentment as a clerk for Lord Peter. Or, most likely, Lord Peter's father. Not sure about his Supernatural Ally. It could be his sire, but I want something odder. A Fae could work, and fit the naming conventions. A Ghost is always fun too. I'm putting that aside for now--I need a bit more time to think on this part. Finally, as an old man, he is embraced. So, who is his sire? I have absolutely no idea. I was rather hoping the tables would inspire me, but I have nothing. Well, time for MORE random rolls! Let's bust out my copy of the Universal NPC Emulator! and it's free. Get it. Hmm, things area becoming a bit clearer now. He's not a "Confident Beggar." He's a con artist. And he's patient, very patient, and a schemer. He's cunning and manipulative, but he's not smart or educated. He sees the growing influence a man like Gauvain has, and doesn't understand it, but wants to. He embraced not only for Gauvain's already existing mortal ties and knowledge, but also as a teacher. He wants to know for himself this knowledge that Gauvain possess, as well as a liason to the changes that are occuring in mortal society. I decide to call the sire Mabon, after an evil wizard in Arthurian lore, and decide he has some big plans, plans that Gauvain doesn't even begin to suspect, let alone comprehend. Now, in my first post, I made a point about how Arawn only allows "redeemable sinners" to be embraced, so I need to know what sin Gauvain committed. I have no idea, so I roll a d7 and get "Greed." Gauvain loved his wife and the family they created, and used his position at court to manipulate things to secure his children's positions. In fact, I'll say he had 3 children, Florence, Lovell, and Gingalain. Florence was married to a prosperous merchant in exchange for certain legal decisions going the merchants way, Lovell gained a significant position in the Church, despite being a sinner and ignorant of the Bible, and Gingalain...well, Gingalain kind of ended up the best. He and his father we the most similar, and therefore got along the least. Gauvain managed to attach him as a squire to a Knight. No one thought he would rise any higher, for he had no noble blood or training. But like his father, Gingalain rose above his station through hard work and passion, and was eventually knighted on the battle field. He has no land, and still seeks his fortune through war, pillage, and mercenary work. I think that's enough of an update for now. I'm going to work on Gauvain and some other NPC's for the setting, then I should be ready to actually play! I haven't had a lot of time for Solo gaming lately. Given that what little free time I've had has been taken up with some standard gaming, this is a bit of a humble brag, but I still miss Solo gaming. Given that, and my current thoughts for how I'd like to run a Dark Ages Chronicle, I've decided to go ahead and generate a setting and get a game going. Theme Isolation and Control. The game takes place in a socially and physically isolated area, and in proper "Long Night" fashion, our character can only know what knowledge his "betters" deign to share. As a result, his mind is as thoroughly controlled and limited as his body. Concept Character is the new “low man” on the totem pole, trying to find his way in a claustrophobic world. The game takes place on the fictional island of Annwyn, a small island in the English Channel. It is fairly well populated for its size, and contains one decently large town, Gwydion, and a handful of villages. To the northwest lies the Benedictine monastery of St. Collen's. The eastern half of the island is a pleasant and settled lands of villages and fields. The center gradually rises to rough hills and moors. The center and western half of Annwyn remains wild and untamed. The Cainites of Annwyn tend to congregate just outside of town, in the limestone caves that dot the hillside. Saint Johns is the major stone structure in town, and the center of mortal life and interaction. The Mound Fortress just outside of Gwydion is the major fortified site, and the seat of Lord Peter's rule. Old Man and the Scythe is the largest tavern on the island, near the port, and the most welcoming location at night. To the north of Gwydion lies the remains of a once expansive Roman villa, now ruined and mostly buried by growth and age. It once had a small Christian shrine, which is used by the Cainites for their own services. Prince Arawn is the Nosferatu lord of the land, and his rule dominates the Eastern half of the island. He is a follower of Christ, and teaches his children that they are God's chosen. He claims that each was a sinner as a mortal, and thus was doomed to Hell. Only his intervention granted them a reprieve in the form of undeath. Their duty is to test and harry the mortals, to improve them in the hope of saving their souls. Those that fail are often killed in a horrible fashion, in the hope that scouring the flesh will aid the spirit. Arawn claims to have been saved by Joseph of Arimathea, and was turned into a vampire by the Cup of Christ. According to him, he and Hafgan were two ruthless slavers, pagans, and murderers that Joseph hoped to save. Hafgan, however, forsook Christ and threw his lot in with Satan, and now seeks to destroy all good Christian folks. Others Hafgan resides mainly on the western side of the island, concealing his small brood from both mortals and the few Lupines who still swell on the land. He is a pagan, and follows the Old Ways, especially the Path of the Beast. Arawn and his childers mastery of Obfuscate means that he is only vaguely aware that others exist on "his" island, but he is currently planning to move his brood to Gwydion for safety, and a conflict is sure to erupt. Sir Peter is the current lord of the land, but unsatisfied with his paltry inheritance. He is often away seeking battle for battles sake, leaving the land in the hands of Brother Cafell, a diligent Benedictine. Well, that's about all I have for now. Normally I'd start working on the first story based on the setting and theme, but since this is a Solo game, well, things are a bit different. The first story will emerge naturally out of the character I choose to play and the results of random rolls. So, my next step will be to create the character I'll be playing, and then creating some additional NPC's based on what I come up with.